HRH Princess Rym Ali of Jordan has called on Arabs to fight discrimination, saying it is not the West’s role to correct “negative stereotypes” about the Middle East region. Princess Rym, founder of the Jordan Media Institute in Amman, spoke at an event held on Saturday to mark the relaunch of the Al Arabiya News website and the 10-year anniversary of the Al Arabiya News Channel, the region’s leading news station. “I am aware of the negative stereotypes portrayed in Hollywood, but also of the discrimination in covering Arabs or Arab affairs in some Western news outlets. 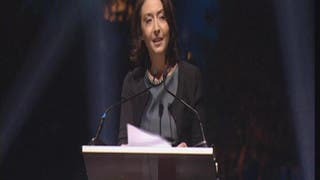 It remains our duty to fight every word that is anti-Arab or discriminating against us,” Princess Rym said. Princess Rym said that people from the region should not believe the notion that there is a “systematic plot” against them. Speaking at an event held at the Armani Hotel in Dubai, Princess Rym offered her congratulations at the relaunch of the Al Arabiya News website. She said the website’s new translation service of Arabic-language TV broadcasts by the Al Arabiya News Channel would help boost understanding of the Middle East. The state-of-the-art translation service, part of the Al Arabiya News website’s View More video section, will broadcast regular news bulletins and programs first aired by the Al Arabiya News Channel. Abdulrahman al-Rashed, General Manager of Al Arabiya News Channel, said the video service would help “bridge the gap” in boosting understanding of the Arab world among Western audiences. The video-translation service provides a true picture of the news that is consumed by Arab audiences – and not one tailored for Western viewers. “Al Arabiya is not a station catered for Western audiences – this is what the Arabs see and watch,” he said. Al-Rashed spoke of the “blood, sweat and hard work” that had gone into running the Al Arabiya News Channel, which launched in 2003 and this year marks its tenth anniversary. “It has been really quite a very difficult 10 years for everybody, but definitely the job has been done,” he said. Faisal J. Abbas, Editor-in-Chief of Al Arabiya News, introduced the new features of the website, including the View More video service. Othman al-Omeir, former Editor-in-Chief of Asharq Al-Awsat, spoke of the importance of communication of Arab issues in English. “It is very important… today we do not all share one common Arabic language, and we frequently use English in our dealings, communications, and readings,” he told Al Arabiya News. 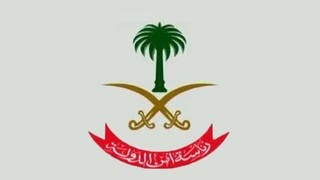 Dr. Azzam al-Dakhil, chief executive of Saudi Research & Marketing Group (SRMG), said that the new Al Arabiya News website will give “better access” to news about the region. “This website will help bridge the gap between the East and West because now [audiences] can get the news the way it should be,” he said. Osama Nogali, Saudi Foreign Ministry spokesman, said it was “very important” to have Middle Eastern news presented in English. “The concept of subtitling and translation is an important step which I haven’t seen elsewhere,” he added in reference to the video subtitling service launched by Al Arabiya News. The first panel explored the theme of the Arab world’s lobbying of the West. Hisham Melhem, Al Arabiya’s Bureau Chief in Washington, DC., told the forum that the Arab world has “a long way to go” in making its voice heard. Adrian Monck, managing director and head of communications and media at the World Economic Forum, said that a lack of engagement in the Arab world was holding back its lobbying efforts. “One of the things holding the Arab voice back is the lack of an Arab public sphere, and a lack of voices who are willing to stand up and be counted,” he told the panel. Dr. Adel al-Toraifi, Editor-in-Chief of the Asharq al-Awsat newspaper, and Chris Doyle, the director of The Council for Arab-British Understanding (Caabu), also spoke on the panel. Chris Doyle, director of The Council for Arab-British Understanding in London, said there was strong demand for news from the Middle East. 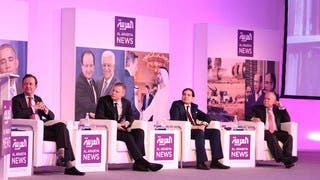 A second panel at the “Al Arabiya News Global Discussion” forum addressed the Western media’s coverage and understanding of the Arab world. Panelists included Professor George Brock, Head of Journalism at City University in London; Khaled al-Maeena, Editor-in-Chief of the Saudi Gazette newspaper; Talal al-Haj, the New York/U.N. Bureau Chief for the Al Arabiya News Channel; and Charles Glass, a broadcaster, journalist and writer with a vast experience reporting on the Middle East. Ignorance of the Middle East is partly fuelled by “inherent bigotry” among some Western media outlets, Talal al-Haj said. “There is… no conscience or acknowledgement [of Arab issues in Western media]. There is inherent bigotry between the media,” al-Haj told the panel. The forum also hosts a special session entitled “What Does it Mean to be a Regional Spokesperson?”, with Joshua Baker, the U.S. Department of State’s regional Arabic-language spokesperson, and Rosemary Davis, regional spokesperson for the UK’s Foreign and Commonwealth Office.